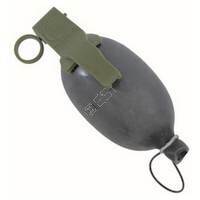 Paintball grenades and paintball mines are another great addition to your arsenal. Ever see a large group of people behind one bunker? In this situation, you can toss a paintball grenade from the safety of your bunker and possibly get out multiple victims without even firing a shot! If you learn how to be effective with paintball grenades, you can wreak havoc on your enemy even if you are outnumbered. The paintball mine is perfect for setting up traps. If you are outnumbered, set one where you are and tactically retreat. Then watch your enemy be surprised by being eliminated! They are also great for booby trapping your bases or props on the field. 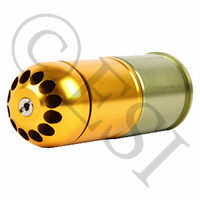 Shoots up to 120 bb's at once. .